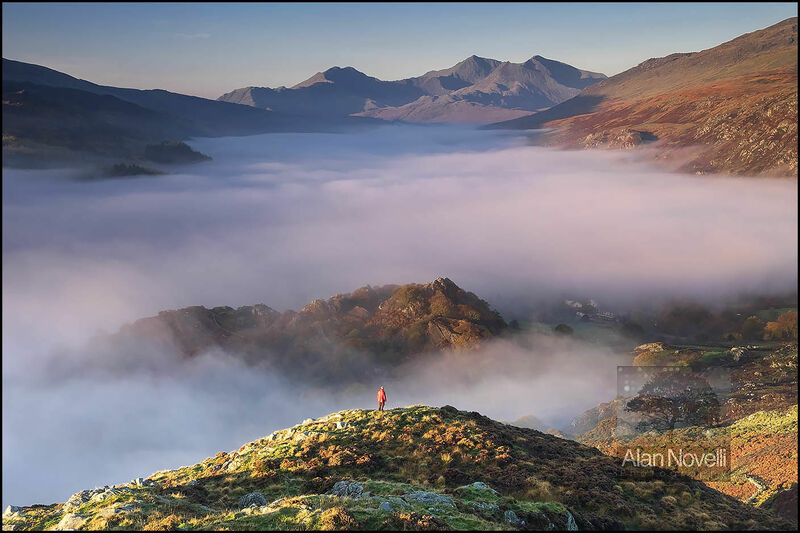 A glorious Snowdonia morning sees the Dyffryn Mymbyr valley filled with early morning fog. This is a classic Snowdonia landscape featuring the Snowdon Horseshoe in the distance. The raking early morning light spills across the foreground where a walker has been placed to add scale to the image and allows it to be utilised commercially for a number of concepts.